New and recent books on Black artists, writers, civil rights activists, athletes, heroes, and more. 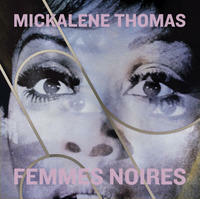 About the book: Mickalene Thomas's vivid paintings, collages, and photographs explode off the wall. Their larger-than-life women stare back and down at the viewer, confronting them head on. Over the course of her prolific career, Thomas has created a body of work that expands notions of beauty, gender, sexuality, and race, offering a complex vision of what it means to be a Black woman. About the book: In 1968, as protests shook France and war raged in Vietnam, the giants of Black radical politics descended on Montreal to discuss the unique challenges and struggles facing their brothers and sisters. For the first time since 1968, David Austin brings alive the speeches and debates of the most important international gathering of Black radicals of the era. Against a backdrop of widespread racism in the West, and colonialism and imperialism in the "Third World," this group of activists, writers, and political figures gathered to discuss the history and struggles of people of African descent and the meaning of Black Power. With never-before-seen texts from Stokely Carmichael, Walter Rodney, and C.L.R. James, Moving Against the System will prove invaluable to anyone interested in Black radical thought, as well as capturing a crucial moment of the political activity around 1968. About the book: Beaubassin was once a prosperous farming community at the head of the Cumberland Basin; Africville was the vibrant home of Black Nova Scotians who struggled to make a living and found spiritual solace in their church. Both are now gone, one a casualty of long-ago colonial warfare and the other a victim of misguided urban renewal. In this fascinating book, author Joan Dawson (A History of Halifax in 50 Objects) looks at 37 of Nova Scotia's lost communities: places like Electric City, Indian Gardens, and the Tancook Islands. Some were home to ethnic groups forced to leave. Others, once dependent on factories, mills, or the fishery, died as the economy changed or resources were depleted. But they were all once places where Nova Scotians were born, married, worked, and died, and they deserve to be remembered. Featuring over 60 archival and contemporary photos and illustrations, Nova Scotia's Lost Communities preserves those memories with fascinating insights. About the book: Smartly dressed and smiling, Canada’s Black train porters were a familiar sight to the average passenger—yet their minority status rendered them politically invisible, second-class in the social imagination that determined who was and who was not considered Canadian. Subjected to grueling shifts and unreasonable standards—a passenger missing his stop was a dismissible offense—the so-called Pullmen of the country’s rail lines were denied secure positions and prohibited from bringing their families to Canada, and it was their struggle against the racist Dominion that laid the groundwork for the multicultural nation we know today. 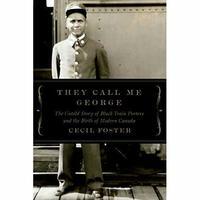 Drawing on the experiences of these influential Black Canadians, Cecil Foster’s They Call Me George demonstrates the power of individuals and minority groups in the fight for social justice and shows how a country can change for the better. About the book: An anthology of African-Canadian writing, Black Writers Matter offers a cross-section of established writers and newcomers to the literary world who tackle contemporary and pressing issues with beautiful, sometimes raw, prose. As Whitney French says in her introduction, Black Writing Matters “injects new meaning into the word diversity [and] harbours a sacredness and an everydayness that offers Black people dignity.” An “invitation to read, share, and tell stories of Black narratives that are close to the bone,” this collection feels particular to the Black Canadian experience. When a young girl visits the site of Africville, in Halifax, Nova Scotia, the stories she’s heard from her family come to mind. She imagines what the community was once like—the brightly painted houses nestled into the hillside, the field where boys played football, the pond where all the kids went rafting, the bountiful fishing, the huge bonfires. 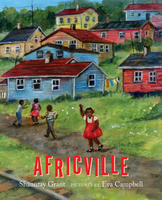 Coming out of her reverie, she visits the present-day park and the sundial where her great- grandmother’s name is carved in stone, and celebrates a summer day at the annual Africville Reunion/Festival. About the book: He walked the plantation fields, freely and with the owners' permission. He was an ornithologist after all, touring the Deep South of the 1850s to study the birds. But Alexander Milton Ross was no ordinary birdman. He was an undercover Abolitionist. And he had news to spread about the Underground Railroad. Discover the forgotten life and true adventures of Alexander Milton Ross, daring Canadian activist, who risked everything—including his life—to help bring freedom and dignity to the heroic men and women enslaved in the American South. 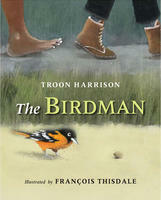 About the book: Harriet Tubman was a brave woman who was born enslaved in Maryland in the 1800s. After risking everything to escape from her slave master and be free, Harriet went on to lead many people to freedom on a journey known today as the Underground Railroad. 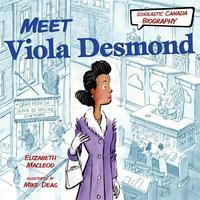 About the book: On the night of November 8th 1946, Nova Scotia businesswoman Viola Desmond stood up for her right to be in the “unofficial” whites-only section of a New Glasgow movie theatre . . . and was arrested for it. Supported by the Nova Scotia Association for the Advancement of Coloured People (NSCAACP) and the black-owned newspaper The Clarion, Viola took her quest for the right to freedom from discrimination to the courts. While she ultimately did not succeed, she was a beacon to other early civil-rights activists. Her sister Wanda worked hard to promote Viola’s legacy, which has been finally honoured by Viola’s inclusion on the new Canadian $10 bill. 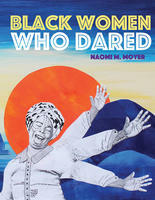 About the book: Inspirational stories of ten Black women and women’s collectives from Canadian and American history. Included are leaders and groundbreakers who were anti-slavery activists, business women, health-care activists, civic organizers and educators. Celebrate these remarkable women, some of whom you may be hearing about for the first time, and the profound impacts they've made. About the book: Modern urban planning has long promised to improve the quality of human life. But how is human life defined? Displacing Blackness develops a unique critique of urban planning by focusing, not on its subservience to economic or political elites, but on its efforts to improve people’s lives. While focused on twentieth-century Halifax, Displacing Blackness develops broad insights about the possibilities and limitations of modern planning. Drawing connections between the history of planning and emerging scholarship in Black Studies, Ted Rutland positions anti-blackness at the heart of contemporary city-making. Moving through a series of important planning initiatives, from a social housing project concerned with the moral and physical health of working-class residents to a sustainability-focused regional plan, Displacing Blackness shows how race—specifically blackness—has defined the boundaries of the human being and guided urban planning, with grave consequences for the city’s Black residents. About the book: Canada couldn’t guarantee them greatness but offered the freedom and opportunity they needed to achieve it. In 1951, Bernie Custis, a standout quarterback at Syracuse, had his invitation to the national East-West All-Star game rescinded when the organizers discovered he was Black. In 1978, Warren Moon—the only player to be inducted into both the Canadian and American football halls of fame—went unselected as a quarterback in the NFL draft. About the book: Twenty years ago Rinaldo Walcott's groundbreaking study of black culture in Canada, Black Like Who?, caused such an uproar upon its publication Insomniac Press has produced a special 20th anniversary edition. With its incisive readings of hip-hop, film, literature, social unrest, sports, music and the electronic media, Walcott's book not only assesses the role of Black Canadians in defining Canada, it also argues strenuously against any notion of an essentialist Canadian blackness. As erudite on the issue of American super-critic Henry Louis Gates' blindness to Black Canadian realities as he is on the rap, Walcott's essays are thought-provoking and always controversial in the best sense of the word. They have added and continue to add immeasurably to public debate. About the book: In There’s Something In The Water, Ingrid R. G. Waldron examines the legacy of environmental racism and its health impacts in Indigenous and Black communities in Canada, using Nova Scotia as a case study, and the grassroots resistance activities by Indigenous and Black communities against the pollution and poisoning of their communities. About the book: A timely, intriguing collection of the overlooked stories of Victoria’s pioneers, trailblazers, and community builders who were also diverse people of colour.